Backed by the talented team of professionals, we are involved in offering unmatchable quality of Automotive Rubber Products. These Automotive Rubber Products are manufactured by our talented team of professionals. Automotive Rubber Products are widely used in automotive industries all across the globe. We have in stores for our clients’ wide range of Buffers 229, that are procured from leading names of the industries. These tapes are widely appreciated by our esteemed clients for its initial adhesion, adhesion build and the ability to dissipate the stresses. Moreover, we offer them at industries leading prices. 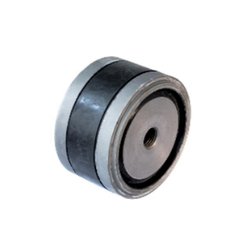 As an organization engaged in manufacture and supply of a wide range of Drum Rubbers, we have been successful in establishing a strong foothold in the market. The range or products being offered by us are manufactured using quality components and tested stringently on variety of industrial parameters by our quality experts. Capping Rubber greatly reduces shock and vibration to the shaker screen and extends the life of the frame and screen. The specially formulated rubber resists weathering and reduces tears and cuts. 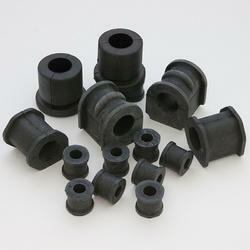 We are the manufacturers of making all kind of Automotive rubber parts in various polymers as per the requirement. Bentex Industries is one of the preponderant rubber boots manufacturers and suppliers, located in India. We are manufacturer of rubber boots and bellows for tractor and automobile and other industries in different rubber products as per customers requirement.